LL菜園収穫の時期に！：The days of harvest have come in LL Garden! 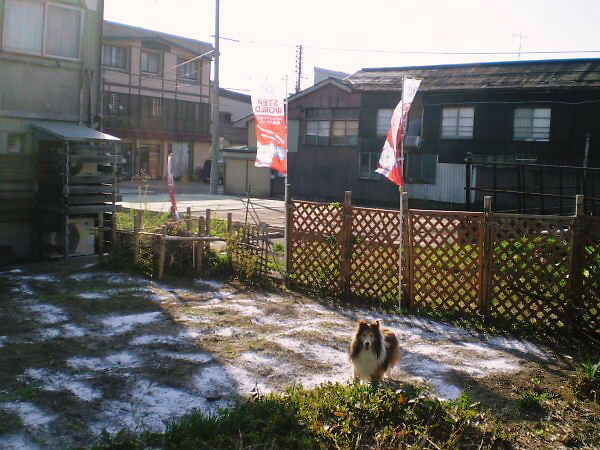 The 1st picture is the scene that slaked lime was scattered just after R and Yoshy finished weeding on Monday, April 30th. Three months have passed since then; harvest has al last begun. 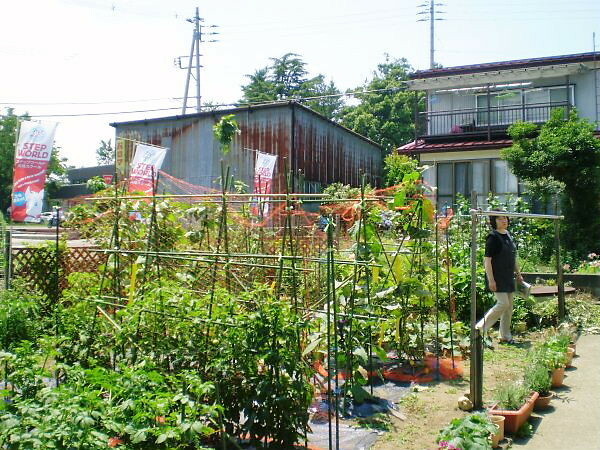 Though Yoshy wants LL students to eat miniature-tomatoes in this garden, there’re still very few. Yoshy’s pet-dog, Erie love eating tomatoes. She knows they are good for her health, I bet. I hope we can eat them with her as soon as possible.